I talk standard IA, i have not create IA for looters. And, i have never think a player can lose against that(Except me, but i am bad). I have very nerf my ship when i have rework my ship(-2 turret per ship). I have out a new version without a animation, i wait report. If no report, this is good. Thank you. -All weapon range are decreased. Medium lose 200 range, and small lose 50. -New faction, in the same system solar, a new planet, this is a faction who be cannot be played per Nexerelin. -Add text or change text. -Can have small bug or small forgot. Do not forgot delete old folder. No compatible with old save. -Nerf max speed of all ship, -50 to -10, yes this is very big nerf, but like you have always bonus speed for no flux, so i need nerf. -move all .java in a special folder except missions. -Delete animation engine and generator of supply. -Increase cost of all weapons to 2. -Increase power of fighter and the cost are to 10. I have update the Looter version, this is not the final version, because i have remade also all sprites, but, you can already play. I have deleted the starsystem per add planet on vanilla starsystem. You can also encounter ship of looters on the pirate faction. If you have never try my looter faction, this is just a unbalanced faction(with full ugly ship!). A semi-pirate faction very dangerous. - In data/weapons/Noir_AJM1.wpn and data/weapons/Noir_AJS1.wpn "AJM1_turret_base.png" has to become "AJM1_Turret_base.png"
Also i was unable to boot the game because of JSON errors parsing "role desc" field in the wing_data.csv files of both mods. To fix this and launch the game i had to add "role desc" field to Noir/Artefact faction wing_data.csv and to replace the "number" field values in both csv files with globally unique ones (actually added "loot_" or "noir_" prefixes to all "number" strings in all .csv files of both mods just in case). Well, the artefact is not updated to 0.8a. For the typos, yes, i have see that, i go fix that soon. But for the moment, i search to re-sprite all ships of looters, and i fail always, so, Artefact is not for now. -Need to fix: The star of the starsystem who wannot get a description. -Fix the market who have before completely bugged. For people who have never try Artefact, this is a faction who have auto-repair hull and armor, with a shield who can 1/30 absorb the projectile ennemi(same if this is a nuke. ), the faction is mostly invincible but also very weak. They surpass many standard ship. I have found a spriter who made for me, very beautiful ship, so we need just wait than he finish. So Snrasha... Want to tell me why your mods are full of "borrowed" code from other mods? Ones that are very specific about asking first to use stuff from them. I was a bit curious after playing your mods for a while, Looters uses one script, Artefact uses *many*. Huh, I wonder why you didn't include the source of Artefact? No worries, as you were not smart enough to obfuscate it, so I wasted my time to decompile all your .class files. So yea, what's going on man? -Armor regen have be authorized. -BaseEveryFrameCombatPlugin, the template, 95% vanilla code are deleted. For the src not put, this is my bad. So, yes, after check, i have just borrowed the custom AI missile(2two files). But for other, i have just use their like example for help me. Edit: update the link for the src. You use my fancy custom random battle rig in both of your mods. Remove it. You did get permission for some Dr missile AI scripts apparently, and they are similar to my own. I concede that and I apologize. Other claims hold up. I concede that and I apologize. Edit: Please be very careful about using very specific custom unusual script functions, taking inspiration from them walks a fine line. After reread a thing, I have missed my message. I want know, there are two years, I have not idea how code. Now yes, before, I have use look how go that on other mods, and request for others. Thank for your help. In all code than I have checked, I have completely forgot that ^^'. In the end, I need just delete this script and remade per my own, the custom AI missile, but all ai missile are near, after. For others scripts, all are usual, I think. Yes, several mods have that same rig because it was given with permission. It is always safest to ask first, for you never know of the arrangements between different people. Just because you see the same code in a handful of mods doesn't mean it is boilerplate stuff to take as you please. Somewhere along the line someone put in the work to make it and honoring their wishes is the right thing to do. -Nerf top speed of all ships. -Nerf all max burn of all ship. -Nerf probably of see Looters ships on pirates. -Nerf majority of range weapon. Edit: If you have played to Looters mod before, you can see a big nerf on armor and topspeed. This is for more real, their armor give them a protection against emp damage of 50% for compensate this loose of top speed. I have decided to reduce top speed after have take 20 Minutes for kill a wolf or a phase ship. The Lili weapon is not very good if owner pursuit ship, but if they fled a ship, this is good. 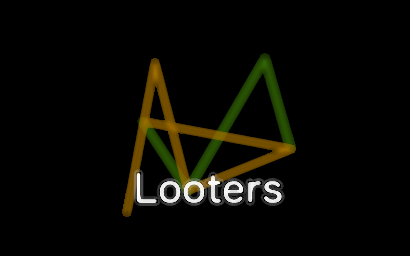 Just fast update for the Looters mods. I have completly forgot to disabled a hullmod. You can continue to play on the same save without problem. EDIT: And fix the link of Artefact. I really like the models of the loters. But everytime I try to boot the game with loters checked, it CTD before completing the booting. What is the error? You can look on the starsector log and paste me? Thank.